Picked up this awesome mini-comic from Jerel Dye at New York Comic Con 2017! 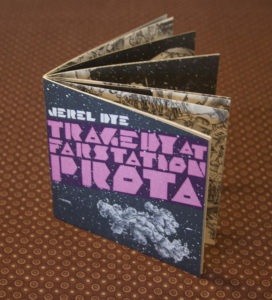 Hey gang, check out this beautiful book + Kickstarter. We have nothing to do with this project, but we think it’s awesome. So go support their Kickstarter and dig this super cool book trailer. I saw this documentary when I was on the Jury for the Newport Film Festival. I tried to persuade my fellow jurors to give it the best documentary award, they didn’t go for it. But, regardless of your feelings on the Israeli and Palestinian conflict, I think it is an incredible document of the challenges of segregation, the frustration of military rules and orders and the insanity of the whims of power. You can read more about it on wikipedia. Checkpoint (original title: Machssomim) is a 2003 documentary film by Israeli filmmaker Yoav Shamir, showing the everyday interaction between Israeli soldiers and Palestinian civilians at several of the regions Israel Defence Forces checkpoints. The film won five awards at various film festivals, including Best International Documentary at the Hot Docs Canadian International Documentary Festival, best feature-length documentary at the International Documentary Film Festival Amsterdam and the Golden Gate Award for Documentary Feature at the San Francisco International Film Festival. Although the film was generally well received, it was also controversial and reactions from audience members and critics were sometimes very angry. Check out this non-fiction graphic novel about Nikola Tesla. Stick with me here, this one is pretty academic, but the concept lies at the heart of the rise of mega-cities like Palomar. This is from the Intelligence Squared series, this from the British version. Check out this awesome project that Sutu spearheaded. NEOMAD : WE MADE THIS COMIC from Yijala Yala Project on Vimeo. NEOMAD is a fictional fantasy based on real characters, places and stories that connect the people to their country. It is an interactive comic made for iPad. NEOMAD aims to bring attention to the rich Indigenous cultural resources of the Pilbara in Western Australia, equally as rich as the vast mineral resources of the area. As part of the Yijala Yala Project, a group of 30 young people from the Ieramugadu (Roebourne) in the Pilbara have been collaborating with Sutu, creator of the multi-award winning NAWLZ interactive comic series. This has seen them applying a complex colouring system to more than 200 scenes for 3 months to create NEOMAD. Over the past year these young people have been developing their digital media skills by using Photoshop and graphic tablets donated by Wacom, creating animations for an online game featuring the Love Punks, a group of tech-savvy adventurers intent on bringing positive change. NaNoWriMo, if you haven’t heard of it check it out here: nanowrimo.org. The goal is to write a 50,000 word novel in 1 month. I’m taking the challenge. 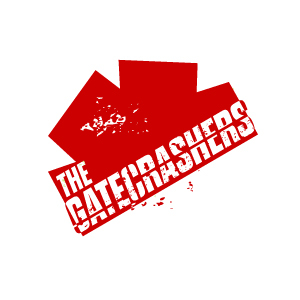 I’m writing a noir story in the world of the Gatecrashers. It’s going to be about stealing next generation wetwork. You can track my progress over here Zach Mortensen @ NaNoWriMo. That title is a serious working title – cut me some slack. I’m also going to try to shoot a photo a day of me when I start writing. I’ll make a collage and post them here. Very psyched to have had a couple conversations recently with Sutu who created NAWLZ. If you haven’t read it do. nawlz.com and better yet, buy his amazing intereactive comic for the iPad. 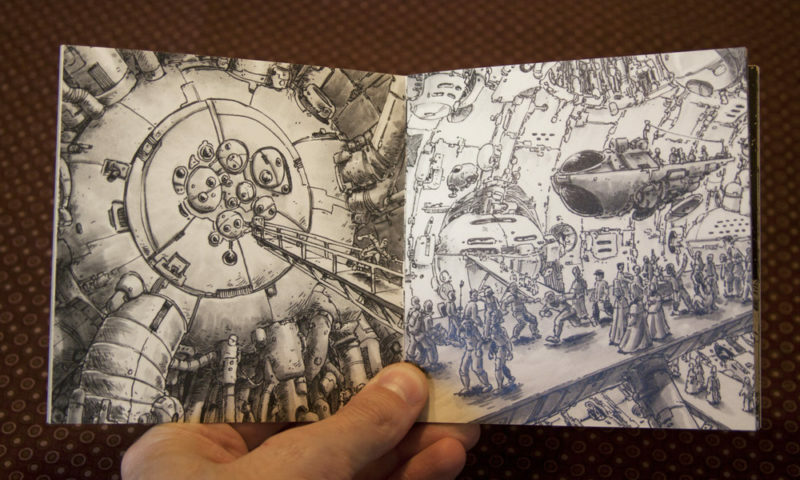 This background image is concept art for District 99, aka Rivertown. The artwork was done by Sutu, who created the award-winning web series NAWLZ. WETWORK: elective, reconstructive surgery, some of which stretch the imagination to its limits. See More in Wetwork The post Wetwork [glossary] appeared first on The Gatecrashers. SLED : Ambulance known on the streets as sleds, ambulances are rented for twelve-hour shifts by a two-man freelance crew called Gatecrashers. The Ambulances are owned by private Dispatch Garages. The post Sled [glossary] appeared first on The Gatecrashers. DROP Gatecrasher colloquialism; A ‘Drop’ is a term to describe each patient taken to the hospital – alive or dead. They are DROPPED at the Hospital Intake and exchanged for a cash payment. The post Drop [glossary] appeared first on The Gatecrashers.